This morning signing up for a Soulcycle class I came across their SXSW Spotify playlists, which after only a few songs, I am OBSESSED with. The music is so good, best way to switch up my daily routine. Whether I am working at home, out on the weekends, cleaning, whatever I might be doing, I am always looking for amazing new Spotify playlists. I’m not exactly that girl that can just pull a bunch of amazing songs together in a playlist, not to mention, it’s like dinner, it always tastes better when someone else makes it for you. 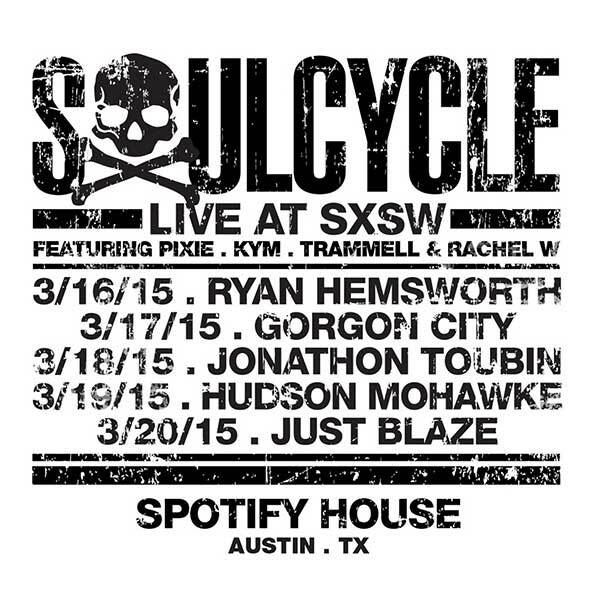 There are a total of four playlists from the SXSW x Soulcycle collab, and I am listening to all of them.